Adult coloring pages are everywhere lately and I think it’s because not only are they FUN, but they’re relaxing and sometimes it’s great to “zone out” while waiting in line at the car pool, doctor’s office, etc. You can hang or frame your finished project to inspire you or add to your decor! 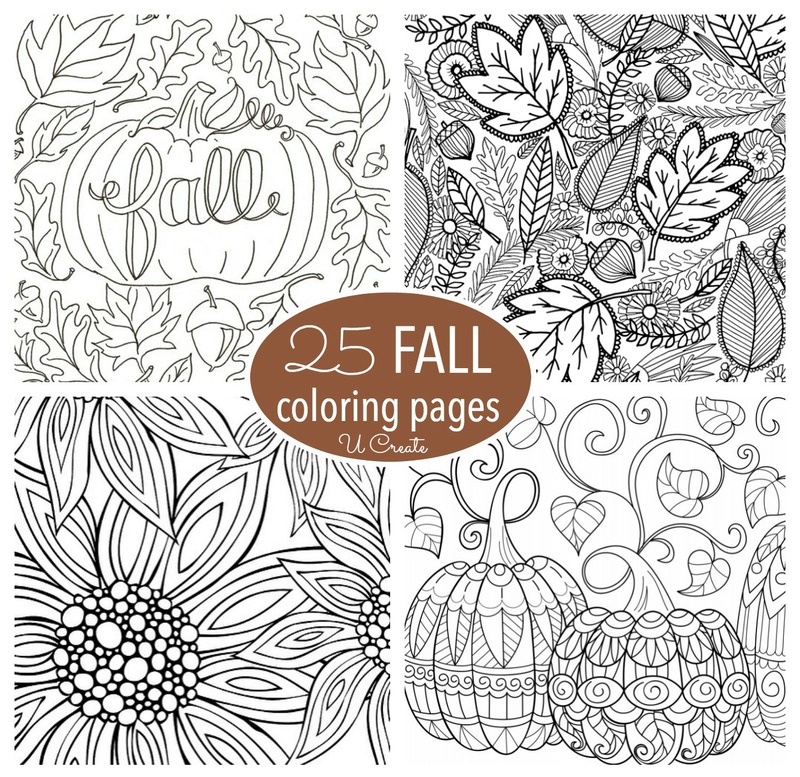 Today I’m sharing some of the coolest free Halloween Adult coloring pages out there! Relax, have fun, and enjoy!! This is a fun activity for us this halloween.. These adult coloring books are awesome!!!! Thank you so much. We love to hear from our readers! These are great ideas i recently had a stroke and want to try these hope to get in the site soon. Your subscriber sign up says it’s inactive. Thanks for letting me know, Linda. We will look into that asap! These are great!! Is anyone else having trouble with the link for the pumpkin coloring page? Yeah, won’t let me either. Click on the links below the image to get to the original printable and you should be able to print from there. The easiest way is to go to the original link, right click the photo and “save image”…then you have it saved to your computer and you can print from there. Thanks for stopping by. Could not get the cats run off properly. Wasted a lot of paper. Sorry to hear that, Lois. You can go to her site, click on the photo of the cat you would like and then click download. This should download to your computer and you can print it from there…according to your printer settings. Hope that helps. Hi Amy! Click on the links below the image to get to the original printable and then download the image. Another way is to go to the original link, right click the photo and “save image”…then you have it saved to your computer and you can print from there. I hope that helps. How do I download the coloring pages? Hi there, Click on the links below the image to get to the original printable and you should be able to print from there. The easiest way is to go to the original link, right click the photo and “save image”…then you have it saved to your computer and you can print from there. Thanks for stopping by. I got all most all the color sheets but the first one with the pumpkin on it and I have try every way I know how. let me see if I can fix this Rosemary. Thanks for bringing it to my attention! Sorry for any confusion about downloading the pages…all links should now be fixed! OMG, I’m so excited to color this right now!!!! I love these coloring pages, sitting down and working on them does wonders for my stress level, and anxiety. But I have a question, can I sell a coloring page That I colored at a craft fair? The images are available for personal use only. So you cannot sell them unless you have permission or an agreement from the original designer. Great question Kaylee!